Last month I attended the opening night of Laurencia by the Mikhailovsky Ballet. This Chabukiani ballet, very popular with audiences in the Soviet era and a vehicle for Russian virtuoso performers, had been dropped out of repertory somewhere around the seventies. For a while all that was left of it were selected extracts performed in galas. If the ballet had not stood the test of time why bring it back now? Would this reconstruction spark the interest of modern audiences? A few days later the Bolshoi Ballet brought to London four historical reconstructions: Coppélia, Petroushka, the Paquita Grand Pas and Le Corsaire. These productions were a success with critics and audiences and it was easy to see why. They are grand, with lush costumes and elaborate designs. 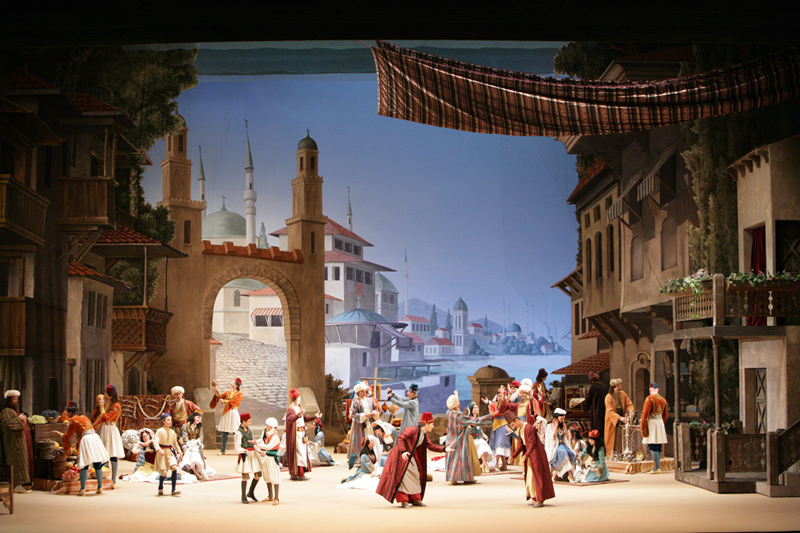 Despite the fact that works like Coppélia and Le Corsaire are over one hundred years old these stagings felt fresh. I thought again of the restaged Laurencia – which had not been as heavily publicised over here – and its place in ballet history; the way it bridges the classical tradition of Petipa and the strong dramatic vein of works such as Grigorovich’s Spartacus. I am now hoping it won’t disappear from repertory again. What is a reconstructed ballet? The term refers to a work that is restaged after having virtually disappeared (dropped from repertory) or restored to its original form post substantive alterations. Ballet notation was adopted in Russia in the late 19th century to preserve choreographic text. Before then, ballets were passed down from teacher to student “word of mouth”. The Imperial Ballet was the first company to document repertory using notation with the assistance of young anatomist Vladimir Stepanov. In 1893 Stepanov experimented notating Lev Ivanov’s one-act ballet La Flûte Magique and Jules Perrot‘s Le Rêve du Peintre. The project was approved by a committee led by Petipa and funded by the State and, thus, other choreographic works began to be notated. The Sleeping Beauty for Diaghilev’s Ballets Russes (1920). Giselle for the Paris Opera (1924). The Sleeping Beauty, Giselle, Coppélia and The Nutcracker for the Vic-Wells Ballet (in the Thirties). Sergeyev died in France in 1951. He left the notations to an associate who sold them to Mona Inglesby, who at that time headed a touring company (International Ballet). She sold them for little money to Harvard University. The collections were thought to be of historical value but no practical use as they required decoding the intricate Stepanov notation. What goes into a reconstruction? The notations part of the The Sergeyev Collection were conceived as Aide-mémoires rather than definite records and some are incomplete. Scholars, choreographers and ballet masters working to revive Petipa’s masterpieces need to decode the difficult Stepanov notation and fill in any gaps by creating new choreography or lifting passages from other productions of the same era. Often interpolating passages from other ballets – choreographic text common to a number of ballets – are used to that end. Reconstructions also involve researching original music, sets and designs. The Sergeyev Collection includes music (mostly for piano and/or violin) but, in general, additional sources need to be consulted for tracking back and rearranging musical passages. The process of restoring sets and designs is relatively simple by comparison: the Collection includes an extensive library of photos and additional records of Petipa stagings can be found at the St. Petersburg State Theatre Library or the St. Petersburg State Museum of Theatre and Music. The Pharaoh’s Daughter by Pierre Lacotte for the Bolshoi (2000). With the assistance of American scholar Doug Fullington, Lacotte used notated choreography for the Grand Pas d’action. Some arguments have been made against reconstructed ballets. A number of experts claim it is virtually impossible to fully interpret the historical notations and therefore a work can never be fully restored back to original form. There are also those who feel that works built on top of past productions have already improved upon the original. Those who worry about ballet getting “stuck in the past” feel reconstructions stand in the way of creative freedom, innovation and authenticity. Yet, recent interest in undertaking reconstructions and restorations seems to point to a change in perception. As historians would say, it is important to look at the past to understand the present. 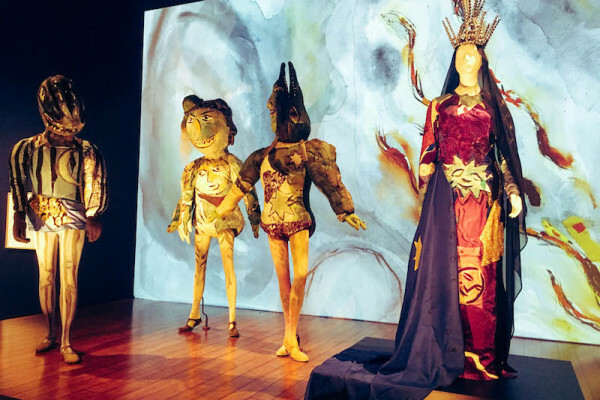 In our globalised times, where every major ballet company has adopted the same type of repertory, reconstructions go beyond the curiosity factor. Modern audiences might be drawn to their serious approach and the way they present a contrast to later productions which have become either diluted or overblown. And given the revived interest for narrative ballets, stylish productions of vintage masterpieces do have their place. Besides, as Mad Men proves, Retro is “in”. Many thanks for these interesting additional insights – to us it’s always fascinating to hear all the different perspectives on this topic – and congratulations on yet another fab wikipedia entry! Linda – Thank you for yet another great article on the balletbag, & thanks even more for putting my wikipedia entry on the Sergeyev Collection to good use (& my youtube vids!). I created many of the wiki entries concerning Imperial/Petipa-related subjects sort of as a hobby & I thought that no one would ever read anything on such an obscure subject. I am very happy that I have helped you spread the knowledge! I wanted to mke a few comments … the “reconstructions” mentioned (the word “reconstruction” is loosely thrown in the ballet world today). A production like Lacotte’s “Pharaoh’s Daughter” for the Bolshoi is certainly not a reconstruction, but a new version all together. But the Mariinsky’s “Flora” is a reconstruction, but sadly they did not restore four additional variations that Petipa added to the ballet some time after its 1894 premiere. Hopefully one day someone will mount a proper staging of “Pharaoh’s Daughter” that does not cause Maestro Petipa to turn over in his grave. 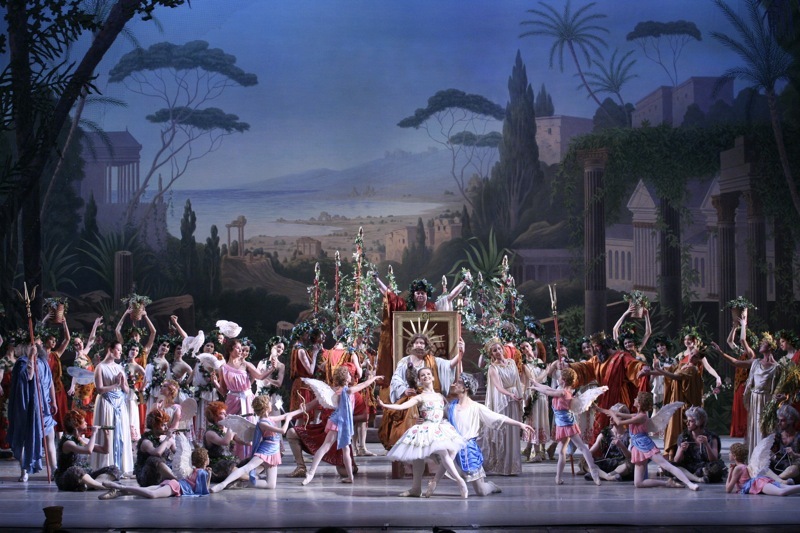 According to conversations on ballettalk.com, Doug Fullington stated that the notation for this ballet – which is not complete – can still be used to restore the principal characters steps & some of the corps de ballet.